This is a 2011 USA made H/S/S Special. It has a 70s-style headstock and decal but the neck has a modern profile with jumbo frets. 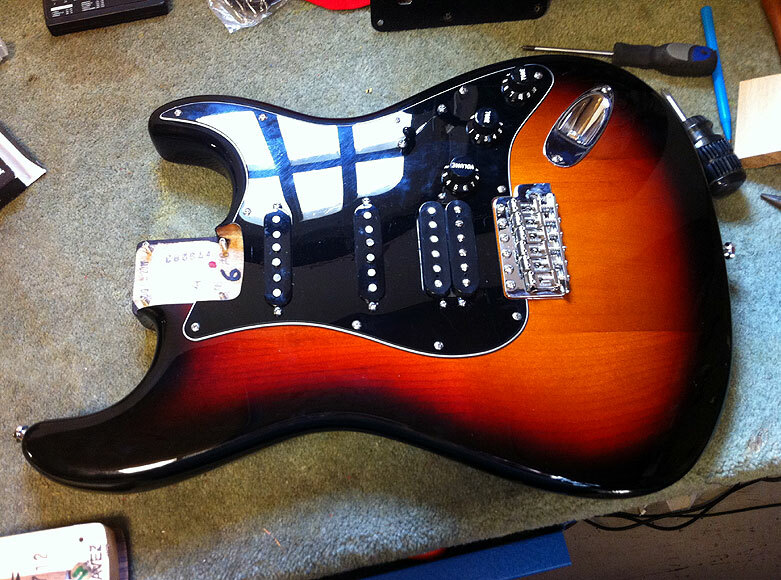 This is essentially a Highway One Strat with a poly finish. Customer needed a full setup including fret dress. 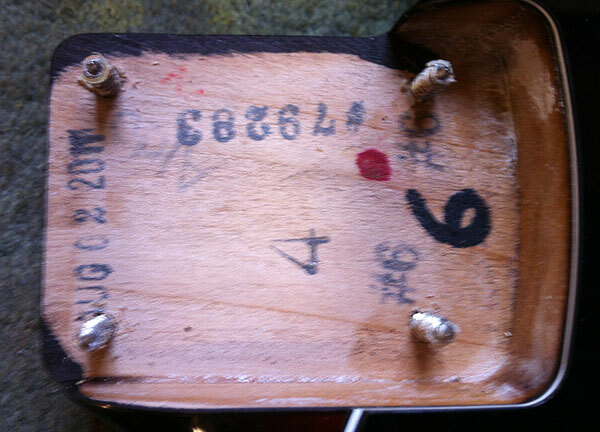 The guitar had come from the Corona factory with quite a high bridge action. The ut channels had also been slotted in a hurry. 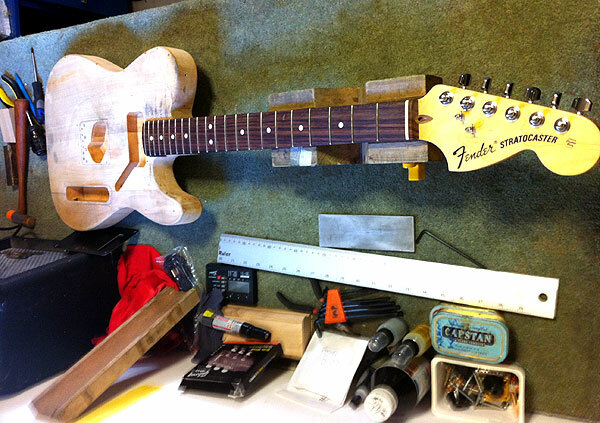 This body was made August 2nd 2011 by ‘Chavez’, however I doubt this person assembled the guitar and tuned it for the first time. There was an inch long piece of thick card placed inside the neck pocket to adjust the neck angle. This was not needed and was discarded. 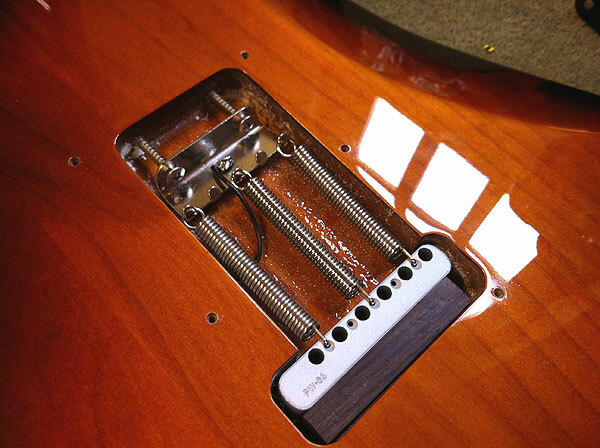 The owner wanted a fixed non-trem bridge. This was accomplished by neutering the bridge with a block of mahogany placed between behind the aluminum block. If you have a Strat and you don’t use the trem this is a great way to fix it in place and add a bit more sustain to your guitar. 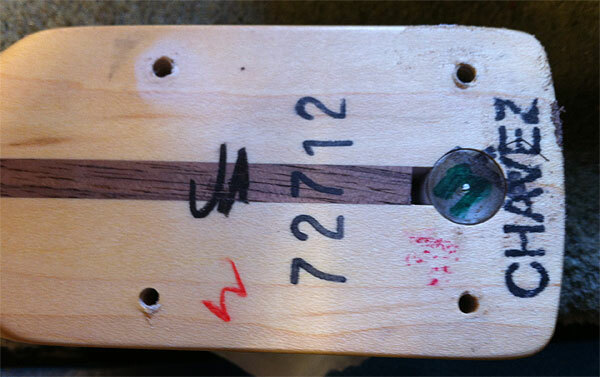 Here the neck is placed on a donor work body ready for a fret leveling, dress and polish. Strung back together with a set of Gibson bright wires, this is a beautiful guitar to play – with bags of sustain. The string action is now much lower making the guitar easier to play. 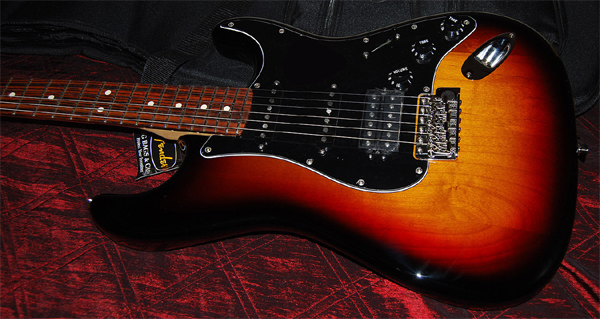 With the bridge humbucker, this is a very versatile and great sounding guitar, which sells for a very reasonable price.